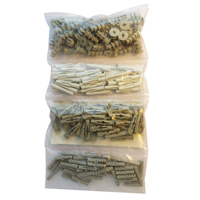 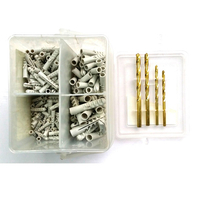 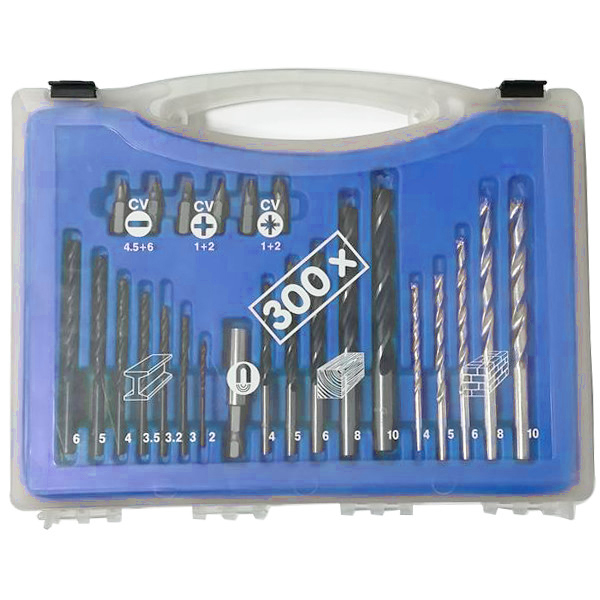 300Pcs Combination Drills Set - Buy Combination Drills Set, Drill Set with plugs Product on Huikang Tools Co. Ltd.
• General purpose drilling and fastening using. 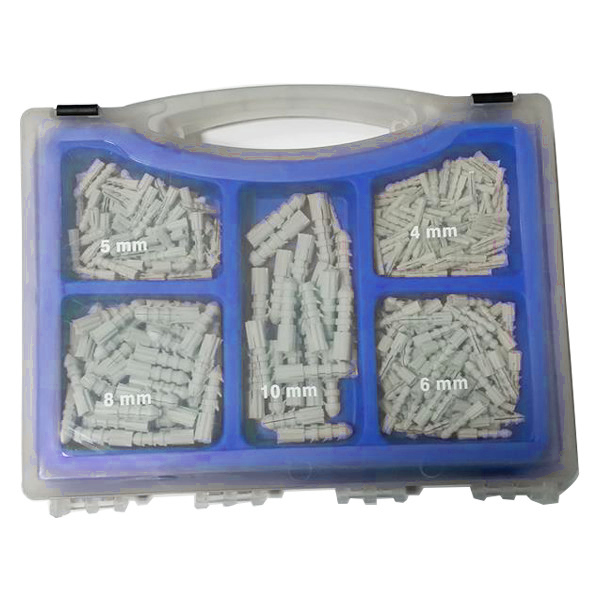 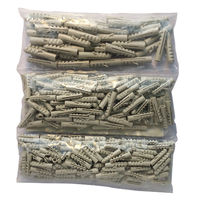 • Contains 25 mm bits and magnetic bits holder for doing screw fastening. 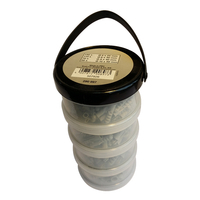 • Contains standard expansion pugs (tower type, PE) . 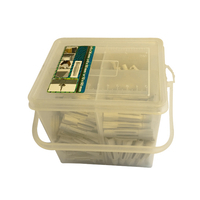 • Supplied in transparent PP storage case with blister inlay on both sides. 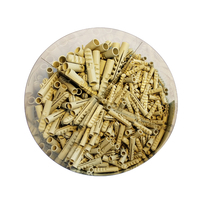 - 6pcs 25mm bits: 1/4" C6.3. 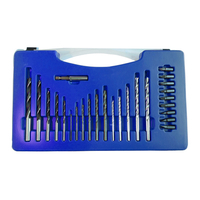 6150CrV, sandblast.